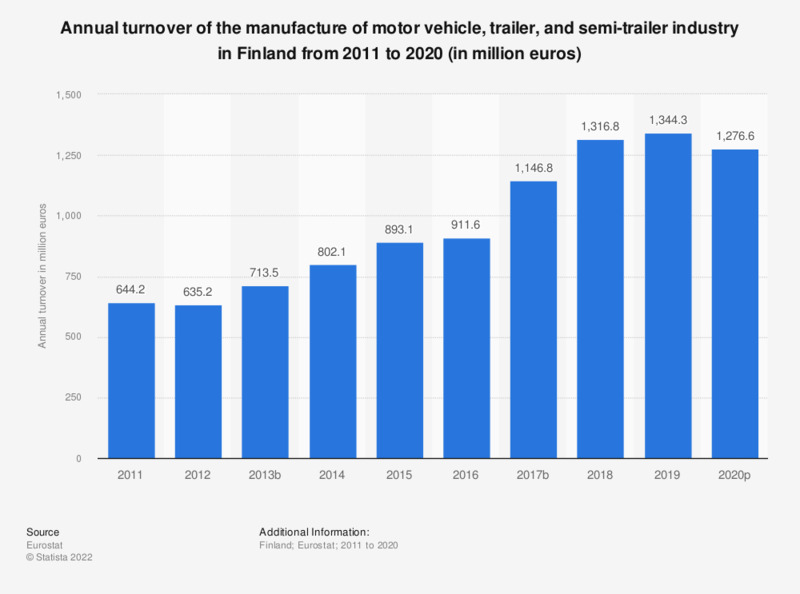 This statistic shows the annual turnover of the motor vehicle, trailer and semi-trailer industry in Finland from 2008 to 2017. In 2017, the motor vehicle, trailer and semi-trailer industry produced a turnover of just over two billion euros. ** Data for 2017 is provisional. Data coverage corresponds to code C29 of NACE Rev2.